Hyperledger is in no way associated with cryptocurrency but instead, it is totally about Blockchain. it is a blockchain solution for corporate or business entities, just like a software suite. It is not the case that they cannot create a crypto coin but instead they are focusing solely on Non-cryptocurrency aspects for Blockchain like all other things. Here other thing includes everything that exists under the sun, so its a Blockchain Solution for anything. The goal of ‘Hyperledger project’ is to provide open source enterprise-grade ledger frameworks to back any business and it has a community-driven foundation for all, thus blockchain technology will become more acceptable in general mass or in the community. Hyperledger goes one step ahead of Blockchain, it not only will provide Businesses to have their own private Blockchain but also allows you to create private blockchains which will have the ability to communicate with other Private Blockchains, suitable for Inter-corporate work and Sharing. It is mainly focused on the corporate field of work. Since Hyperledger is open sourced, the software development process will guarantee the interoperability, longevity and the transparency required. As a matter of fact, This Hyperledger project is supporting the blockchain technologies to become mainstream commercial medium in the near feature. Though the Linux Foundation announced the creation of the Hyperledger Project in December 2015, the project members name were announced in February 2016. Now the Project Team stands 100 strong, with many members coming from big brands too. Hyperledger Burrow– provides a modular blockchain client with a permissioned smart contract interpreter partially developed on the lines of the Ethereum Virtual Machine (EVM). Hyperledger Caliper– is a blockchain benchmark tool which allows users to measure the performance of a specific blockchain implementation with some presets. It will produce reports containing a number of performance indicators, such as TPS (Transactions Per Second), transaction latency, resource utilisation etc. Hyperledger Cello– is a blockchain module toolkit which aims to provide on-demand deployment model to the blockchain ecosystem to reduce the effort required for creating, managing and terminating blockchains. Hyperledger Composer– is a set of collaboration tools for building blockchain business networks that make it simple and fast for business owners and developers to create smart contracts and blockchain applications to solve business problems. Hyperledger Explorer– is a web-based explorer which is just like any File/DB Explorer which can view, invoke, deploy or query blocks, transactions and associated data, network information (name, status, list of nodes), chain codes and transaction families, as well as any other relevant information stored in the ledger. Hyperledger Fabric– is a blockchain framework implementation intended as a foundation for developing applications or solutions, It leverages container technology to host smart contracts called “chaincode” that comprise the application logic of the system. Hyperledger Grid-is a Framework for building supply chain solutions. Where everyone will benefit from shared, reusable tools. Grid is an ecosystem of technologies, frameworks, and libraries that work together, letting application developers make the choice as to which components are most appropriate for their industry or market model. It initially intends to provide reference implementations of supply chain-centric data types, data models, and smart contract based business logic – all anchored on existing, open standards and industry best practices. Second, it will showcase in authentic and practical ways how to combine components from the Hyperledger stack into a single, effective business solution. Hyperledger Indy– is a distributed ledger built for decentralized identity. It provides tools, libraries, and reusable components for creating and using independent digital identities rooted in blockchains or other distributed ledgers. Hyperledger Iroha– is a blockchain platform implementation which is written in C++ incorporating with Byzantine Fault Tolerant consensus algorithm and the BFT ordering service. The manipulation of accounts and digital assets is supported with the small set of fast commands and queries. In conjunction with the powerful role-based permission model that incorporates grant capabilities, the end-user applications are endless. The blocks are stored in files while the ledger state is stored in the PostgreSQL database. Hyperledger Quilt– is a business blockchain tool which offers interoperability between ledger systems by implementing the Interledger protocol (also known as ILP), which is primarily a payments protocol and is designed to transfer value across distributed ledgers and non-distributed ledgers. The Interledger protocol provides atomic swaps between ledgers (even non-blockchain or distributed ledgers). Hyperledger Sawtooth– is a modular platform for building, deploying, and running distributed ledgers. Distributed ledgers provide a digital record (such as asset ownership) that is maintained without a central authority or implementation. 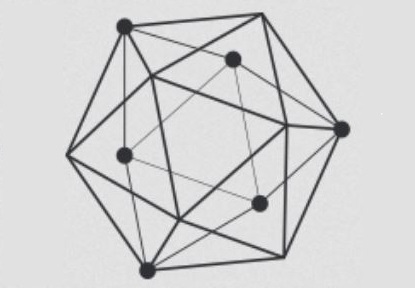 Hyperledger Ursa– is a shared cryptographic library/an opt-in repository for projects to place and use crypto. Hyperledger Ursa consists of sub-projects, which are cohesive implementations of cryptographic code or interfaces to cryptographic code. This is Basics of Hyperledger you should know about.